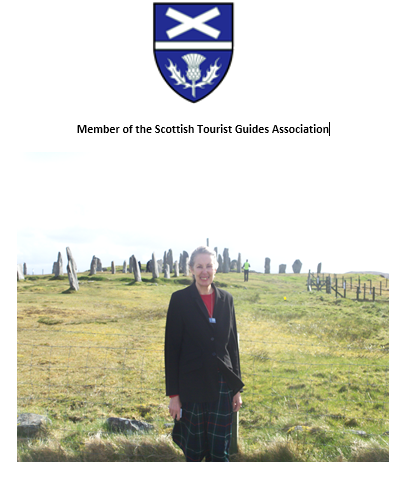 Blue Badge Scottish Tourist Guide | Isle of Lewis Member of the Scottish Tourist Guide Association & Fully Qualified Blue Badge Guide, Isle of Lewis and Harris. Local Blue Badge, professional, Insured and fully qualified Scottish Tourist Guide with nearly 30 years experience offers step on/ step off guiding for incoming coach tours, walking tours, small groups and individuals. Itineraries prepared to suit individual requirements and learn more about the history, archaeology, Gaelic culture of the fascinating Western Isles. Tours can be conducted in English and also Italian.